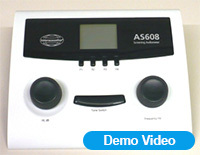 The AS608 includes a dedicated, lightweight carrying bag with shoulder strap that will accommodate the audiometer, headset, and audiogram charts. AS608 is powered by 3 AA batteries for true portability. 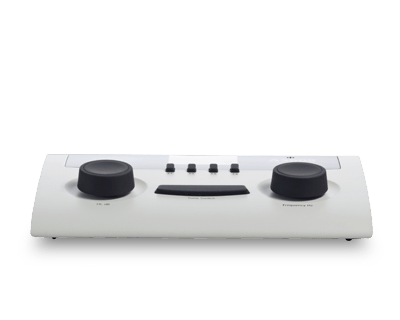 You can also power the audiometer by an external power supply or USB. Typically battery lifetime is 6 months. 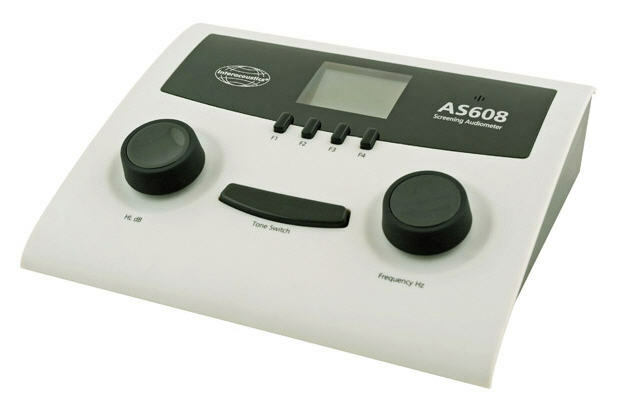 The AS608 audiometer comes in two versions, a normal and an extended. See the main differences between the two versions below.